Flexible Electronic Medical Records Software for Enhanced Care Delivery and Efficiency. Our EMR EHR software helps practices and health centers eliminate unnecessary paper, improve clinical productivity and enhance care for your patients. While our PM software is a fit for nearly all specialties, our EMR is not a fit for some specialties and organization types. We continue to expand and build content and functionality for our EMR to meet a variety of specialties needs each year. Integrated with your practice management system, MicroMD EMR improves accuracy and protects reimbursement. Integrate with your practice management system to expedite care, enhance accuracy, and improve reimbursement. Available as either client-server or web-based ASP software, MicroMD EMR, electronic medical record software, is a scalable, and flexible solution that allows you to improve efficiency, maximize growth, and meet regulatory requirements. 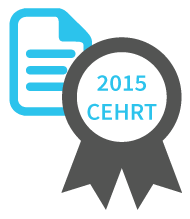 Solo practices, large groups and health centers rely on Complete 2014 Edition CEHRT MicroMD EMR, electronic medical record software, to create a paperless environment, improve workflow, enhance care delivery and boost productivity. Immediate, shared access to patient data minimizes paperwork, and maximizes productivity. Health centers rely on MicroMD EMR to create a paperless environment, improve workflow, enhance care delivery, and boost productivity. Immediate shared access to patient data minimizes paperwork and maximizes productivity. MicroMD EMR integrates with your practice management system to expedite care, enhance accuracy, and improve reimbursement. Available as either client server or web-based ASP software, MicroMD EMR is a scalable and flexible solution that allows you to improve efficiency, maximize growth, and meet changing regulatory requirements. When you first open a patient’s chart, MicroMD EMR provides a quick and customizable overview of any outstanding alerts, lab results you haven’t viewed, immunizations that are due and much more. Quickly access your patient’s medical history, including allergies, and a list of patient encounters. Patient Overview allows providers to add customized chart views, including graphs to the patient chart. From here, providers can update and review patient medical information, assess progress towards healthcare goals, and keep the patient compliant with health maintenance and immunizations. MicroMD EMR enables providers to document encounter details in a variety of ways. Patient data can be organized in the familiar ‘SOAP’ format, promoting organized, and consistent data entry. MicroMD EMR also allows the recording of encounter data in free-text format, providing flexibility of data entry. You can dictate patient encounters in historical, subjective, and objective format. 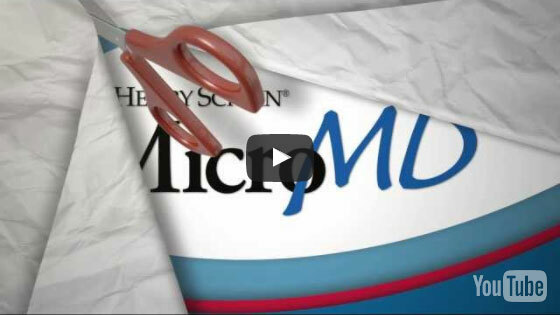 MicroMD EMR minimizes the time and effort required to complete each patient visit. MicroMD EMR integrates with a number of labs, including LabCorp and Quest and medical and diagnostic devices from Welch Allyn, Midmark and Burdick, including ECGs, Holters and spirometers. Reduce manual data entry and save time in collection and management of physiological data. Utilize these devices to improve convenience and revenue by performing additional procedures in-office rather than referring patients. Starting at $545 per month get integrated PM + EMR with everything included. Let’s get you back to the business of healing. MicroMD EMR V13.5 has achieved 2015 Edition Health IT Module Certification. The certification designates that the software offers functionally to help enable providers meet the ever-evolving clinical practice improvement and care coordination activities that are required for successful participation in CMS payment and incentive programs including the Medicare Quality Payment Program (QPP) and the Medicaid EHR Incentive Program.